Some things don’t need to be defined. Some aren’t meant to be in a box, held in proverbial captivity. They inherently defy a need for classification. BANKS makes music. Great music. Why not just stop there? Allow her to be a siren for a generation, beckoning for self discovery. She begs for it. Conveying her sound seems almost unfair. It’s built on a simple notion of emotion. Perhaps that explains the near explosion of eager fans frantic to share their own discovery, ultimately propelling this songstress’ art to the top of Hypem charts. A toy keyboard is all it took to awaken the inevitable. That evolved into a piano. The notes articulated feelings. Then chords turned to melodies. Heart-piercing lyrics cloaked in lush orchestration. 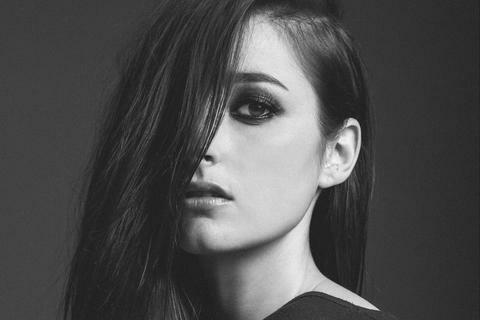 Now BANKS’ EP London applauds her arrival. The four songs introduce this budding self-taught songstress, one whose voice echoes a generation. She writes with a restless urgency, lyrically candid yet relatable, weaving vivid imagery into pop-skewed lullabies as she lures with every note, every chord, every breath. A hypnotic blend of beats, pianos, echoes and an addictive vocal presence, BANKS slips in and out of genres with an ease so effortless, it once again serves as a reminder to leave your tags behind. Hip-hop, Pop, R&B, Alternative, Electronic… they all live in this very place. And she can be any or all. Or none. A singer. A poet. A pianist. A narrator. An artist.